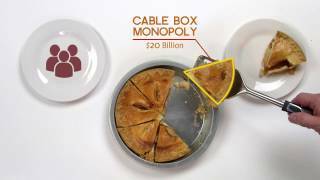 What Does Network Neutrality Look Like Today? Sometimes the conventional wisdom turns out to be correct. As we observed after the oral argument in September, the Court seemed likely to approve the FCC’s general assertion of authority over broadband providers under one provision of the Communications Act, while reversing the no blocking and non-discrimination rules – the actual important part of Network Neutrality – as contradicting other statutory language. As it turned out, that’s what happened. The result creates a bizarre set of contradictions within the Court’s decision. On the one hand, the majority of the court finds that the FCC properly found that the current openness of the Internet is critically important to protecting subscribers and fostering innovation (pages 33-44). On the other hand, the Court found that because the FCC insists on classifying all broadband service as a Title I “Information Service” rather than as a Title II “Telecommunications Service,” the Commission is powerless to act on these findings (pages 45-62). (For those unclear on the distinction between Title I Information Service and title II Telecommunications Service, you can see this refresher here.) The FCC now has confirmed “affirmative authority to enact measures encouraging the deployment of broadband infrastructure” and “to promulgate rules governing broadband providers’ treatment of Internet traffic,” provided the FCC allows broadband providers to offer preferential treatment to some and block others. To illustrate with some examples, the FCC could, conceivably, decide that AT&T’s current “sponsored data program” discourages broadband use, hampers innovation or otherwise frustrates the goals of ensuring rapid deployment of “advanced telecommunications capabilities to all Americans,” and could order AT&T to stop or modify the program accordingly. But the FCC cannot set a rule in advance that would prevent AT&T from experimenting with such deals. The FCC can require Verizon to negotiate peering with Cogent or could require broadband providers to offer interconnection to things like Netflix’s content delivery network under rules similar to the data roaming rules the D.C. Circuit approved last summer, but it cannot require that Verizon complete a call from Magic Jack to a Digital Voice subscriber. How Did We Get To This Result That Makes No Sense? In other words, the FCC has a choice (and still does) whether to put broadband in the Title I “Information Services” box or the Title II “Phone Services/Telecommunications” box. Once you put something in the “Information Service” box, you cannot treat it as if it were in the “Phone Services/Telecommunications” box. The FCC can always decide which box to use, and can always change its mind about whether something belongs in the Title I box or the Title II box. But it can’t pretend something in the Title I box is in the Title II box. Net Neutrality As It Exists Right Now. So what’s the state of the world at the end of the day yesterday? The FCC’s rules requiring broadband providers to disclose their network management practices remain intact and in force. Providers are free to strike whatever deals they want or block whoever they want – a situation the Court found does indeed endanger the “virtuous cycle of innovation” that has powered the Internet until now. Unless the FCC reclassifies broadband access as Title II telecommunications services, however, the FCC cannot really do anything about it directly. This doesn’t make the FCC entirely helpless. But it does mean that the best the FCC can hope for, absent reclassifying broadband as Title II, is possibly a sort of “Net Neutrality-lite” that looks remarkably like what we had in 2008 -- a complaint process based on Open Internet principles. As folks may recall, no one particularly liked that because it created all sorts of uncertainty as to what conduct would or wouldn’t be allowed and how far the FCC’s authority would reach. Every new business model becomes the possible subject of a complaint, and every complaint becomes a crap shoot because the FCC cannot actually impose a rule. But apparently, “certainty” is for wussies in Telecom-ville. Welcome to the dynamic crazy town of Information Services Land! 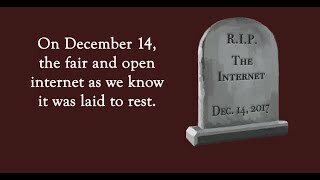 Who knows what anyone will do, who it might hurt, or what the FCC might do in response? Let the wackiness ensue and the good times roll. Unless, as the Court suggests, the FCC would like to revisit its classification decision.